Darlington House - a premium bed and breakfast in a luxurious Early Canadian Loyalist style home overlooking the historical military grounds of Niagara-on-the-Lake. 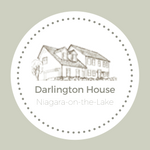 Welcome to Darlington House, a premium bed and breakfast in a luxurious Early Canadian Loyalist style home overlooking the historical military grounds of Niagara-on-the-Lake. 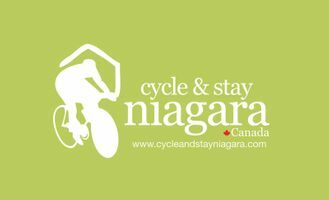 We are inside the Old Towne, a short walk to Niagara’s award-winning theatres, restaurants and shopping. An elegant retreat with privacy, comfort and view. Darlington House – Home of your elegant retreat! Absolutely thrilled with the hospitality and food we enjoyed during our recent stay at Darlington House in Niagara-on-the lake! Our hosts were extremely friendly and helpful in every way and the food the best we have every enjoyed at a B&B. We had a girls (4 of us) biking /winery weekend. We absolutely loved Darlington House. This is the first time I’ve stayed in a B&B, it was so comfortable and extremely clean. We loved our breakfast in the morning. Everything was just perfect. We were very impressed with our accommodations at Darlington House. Our room was clean and comfortable. Our hosts, Marzena and Jarek were very friendly and accommodating. Marzena’s breakfast was elegant and delicious. Highly recommended.